Wenger resigns: Was Arsene Wenger pushed to step down? Arsenal manager Arsene Wenger has admitted that the timing of the decision to depart the club was not his. The Arsenal boss released a statement on Friday morning that he would be leaving the north London club after 22 years at the helm. 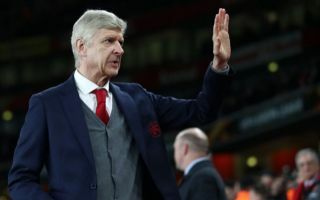 Wenger was speaking ahead of Arsenal’s crunch Europa League encounter against Atletico Madrid and reports from various news outlets, including the Evening Standard and Sky Sports, have said that the timing of the announcement was not his decision. Was Arsene Wenger pushed to step down? Wenger has always said in the past that he would honour his contracts and he has a year left on his current deal after signing a new contract last summer. Arsenal face a tough fixture against La Liga giants Atleti on Thursday, and with a trophy and a place in next season’s Champions League at stake, the Gunners’ manager is focused on the task at hand. “At the moment no because I am doing my job, I keep my routine and I am focused on what I have to do. “You will feel sorry for me when I don’t work. But, at the moment I work like ever.